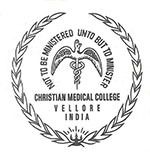 CMC Vellore 2018 examination will be administrated by the CMC (Christian Medical College), Vellore. It is a medical college and hospital which offers excellent education in the field of medical. This university gives admission to students in B.Sc Nursing, M.Sc & many other courses. Admission to MBBS course will be done on the basis of NEET Score. Students also have to go through an aptitude test set by CMC for final admission in MBBS course. CMC Vellore exam is a university level entrance examination. It offers courses in diploma, UG, PG and doctoral levels. Candidates can check complete details about CMC Vellore 2018 including application form, exam dates, exam pattern, admission procedure, etc. CMC Vellore registration 2018 for group-A courses will be started from third week of February, 2018. Candidates have to visit the website of CMC Vellore (link will be provided above). Applicants have to pay the application fee of Rs. 800/- with additional fee of Rs. 500/- per course for Group A & PG courses or Rs. 100/- per course for Group B. The fee payment can be done through debit/credit card or demand draft/e-challan. Demand draft should be made in favor of “C.M.C. Vellore Association a/c” payable at vellore from any nationalized bank. MBBS: 12th passed with physics, chemistry & biology subjects securing 60% marks. Must have qualified NEET exam. B.Sc Nursing: Student must have passed the 12th exam after the period of 12 year study with Physics, Chemistry Biology (Botany & Zoology) and English subjects. Only unmarried women candidates can apply. BPT: 12th passed with 35% marks each in Physics, Chemistry & Biology/Botany & Zoology. BOT, B.Sc. MLT, B.Optom, B.Sc Medical Records Science: 12th passed with English, Physics, Chemistry & Biology. B.Sc. Respiratory Therapy: 12th passed with English, Physics, Chemistry & Biology or Botany & zoology. M.Sc. Biostatistics: B.Sc. Statistics or B.Sc Degree in any subject with statistics. M.Sc. Medical Physics: B.Sc. with Physics as main subject. MPH (Master of Public Health): MBBS, MOT, MPT, BDS, BVSc, & MSc Nursing passed students can apply. Diploma in Nursing: 12th or equivalent exam passed with Physics, Chemistry, Biology (Botany & Zoology) & English securing 40% marks. Minimum age should be 17 years as or on 31st Dec 2016. Diploma in MRT, Urology Technology, Anesthesia Tech, Hand & Leprosy Physiotherapy Tech & Dermatology Laboratory Tech: Passed 12th with English, Physics, Chemistry & Biology subjects. Diploma in Optometry, Prosthetics & Orthotics: Secured 40% in 12th exams with English, Physics & Biology/Mathematics. PG Diploma in Cardiac Technology: B.Sc with English and any one as main subject Physics, Chemistry, Zoology, Botany or Biology. PG Diploma in Health Management: Bachelors degree in any stream. PG Diploma in Dietetics: B.Sc. Home Science or B.Sc. Nutrition and Dietetics. PG Diploma in Hospital Administration: Bachelors degree in any stream. Numbers of Questions: It will consist of total 240 questions. Marking Scheme: There is no negative marking. Time Duration: The exam duration will be 3 hours. Question: Where I can get admission after this entrance exam? Question: Have I need to register for the application form? Question: When will be the CMC Vellore registration starts for UG courses? Question: How can I get the CMC Vellore application form 2018? Question: Why is the need of NEET 2018 scores? Question: Is CMC Vellore exam is a national or university level entrance exam? Question: What are the payment modes to pay application fee? Question: What is the syllabus for CMC Vellore 2018 entrance exam? Question: Can I apply for admission in B.Sc Nursing course through CMC Vellore examination? CMC Vellore Hall Ticket 2017 will be provided via online mode. The admit card will be available before 15 days from the examination. Applicants must bring the admit card hard copy with one original ID proof for exam entry. Admit card will be same for Group A & Group B courses. CMC Vellore 2018 Result will be declared via online mode through the website. After clearing the entrance test, students will be called for further admission rounds. Candidates are advised to keep extra printouts of the result for further use. As per the scores obtained by the candidates in the entrance examination, they can get the admission in various courses offered by the university. Cut-off is a very important parameter to predict candidates rank in the appeared entrance exam. It is the minimum marks secured by the candidates to appeared in the exam or qualify the exam. For appearing in top rank, candidates have to score maximum marks. A separate merit list will prepare on the basis of cut-off. On the basis of cut-off scores candidates will get admission. Candidates who have cleared the CMC Vellore 2018 entrance examination can proceed to the further process of admission or counselling. A merit list will be prepared on the basis of candidate’s performance in the entrance test. After that, the shortlisted candidates will be called for further admission round like an interview, etc. During the counselling process, candidates will be required to bring their original documents for document verification. Candidates selected for admission are required to report to the specified venue to confirm their admissions. For any queries regarding CMC Vellore 2018, you may leave your comments below in the comment box.